There are many fabrics you could choose for travel clothing, but this is one of the best. What is Merino Wool Fabric? Packing for a trip can be such a chore and requires some tough decisions. You have eight favorite shirts, but only have room for four. You may not know when and where you’ll be able to do laundry on your journey—and that’s the fun & spontaneity of travel! Do you bring more clothes to last longer between washes or less and just say screw it? 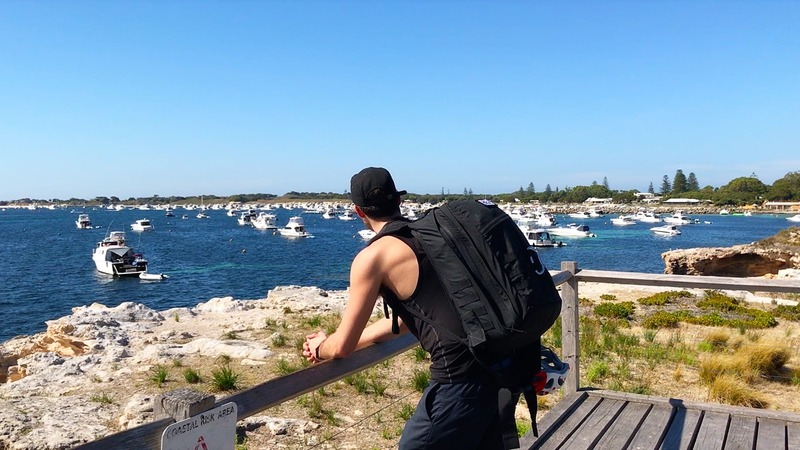 If you’re hitting up snowy mountains and balmy beaches in one trip, do you try to pack clothes for all seasons and end up with a huge, overweight bag? Well, Merino wool can solve a lot of your packing problems. It is one of the best travel fabrics out there, straight up. Packing one Merino tee is like the equivalent of packing five cotton tees when it comes to freshness. It will keep you cool in the heat, warm in the cold, you don’t have to wash it every time you wear it and we almost guarantee it will become your favorite shirt—so you’ll only need a few. It’s going to cost you a pretty penny for the better brands, but the benefits of the material are worth it… if you take care of it correctly. Merino wool sheep were first bred in Spain and introduced to Australia in 1797. Fibers of the sheep became even finer when Australian farmers continued to perfect the quality with selective breeding. But wool’s big break in the fashion world didn’t come until the 1920’s when Coco Chanel produced a dress out of fine wool jersey. Today, designers and woolgrowers work together to connect consumers with the natural benefits of this awesome fabric. Fun fact: The first wool sweaters date back to 230AD according to radiocarbon testing, making it one of the oldest materials still used today! Video Guide Part 1: Intro – Why Merino Wool? Feel free to watch this guide section in video format. We’ll keep the written content on this page up to date. Be sure to subscribe to Pack Hacker on YouTube and never miss a video. We also have these videos in a series playlist format on YouTube so you can watch them easier. There are all kinds of travel products that are made from this miracle fabric: socks, shirts, sweaters, sweatshirts, even underwear. But what’s so special about this fiber and why is it so great for travel? You’re thinking “wool, ugh that’s itchy.” Wrong! Merino wool is the finest wool fiber there is, making it way better than that sweater your grandma knitted you for your birthday. It’s also hypoallergenic so you likely won’t have any skin reactions at all. AND it’s naturally static resistant. Merino wool can absorb and retain up to 30% of its weight in moisture and still feel dry to the touch. Since the fabric wicks away moisture, those smelly bacteria don’t have the moist environment they need to thrive. Wear your Merino shirt in the desert, on the slopes, or in the gym and you’ll be sure to remain dry and stink free. Well, your clothes will anyway… you should still shower. Those sheep know what’s good. Scientifically, Merino wool is awesome at temperature regulation because of its fiber construction. There’s an outer layer and an inner layer to the fabric. The outer is hydrophobic (water-repelling), and the inner is hydrophilic (water-absorbing). The inner layer absorbs your sweat, leaving you cool and dry, while the outer layer repels moisture, leaving you warm and toasty in colder climates. If taken care of properly (which we’ll cover in another section of this guide), your products won’t stretch out or lose their shape! Due to the natural crimp in the fiber, it can be stretched 30,000 times without being damaged, apparently. We haven’t tested this out ourselves, but maybe we can get an intern on it or something. Merino wool has a natural UPF (ultraviolet protection factor) of 40+ to protect your skin from those killer cancer-causing rays we all love so much. A UPF of 40 means the product will block ~97% of UV rays from reaching your skin AND you can use less of that chemical-laden sunblock. Believe it or not, polyester has roughly the same UV protection, but a lightweight cotton T-shirt has a UPF 5, blocking around 20% of the rays. Nothing lasts forever, but when your clothing is ready to retire, sleep easy knowing that your merino wool products won’t be sitting in a landfill for too long. Because the fiber is made of keratin—which is the same protein our hair and skin is composed of—it will disintegrate back into the earth within 1-5 years. Synthetic fibers, like nylon, take 30-40 years to degrade. Yikes. The major difference here is that Merino wool is much softer than regular wool. Regular wool is what your mind recalls as itchy, and we’re here to change that stigma. Merino is totally different in the “touchy feely” category because its fibers are much finer than those of regular wool producing sheep. Both varieties share the epically awesome benefits of wicking, quick drying, elasticity and moisture control though. Fun fact: most Merino sheep live in Australia and New Zealand. Besides the obvious that wool comes from an animal and cotton from a plant, there are several differences between these two popular fabric choices. Merino wool has great heat retention, where cotton is more breathable. Cotton might be a great option for the summer, but it will absorb all your sweat leaving you wet and smelly. Merino, on the other hand, will wick away your sweat creating your own wearable A/C system. Due to the antimicrobial properties of the fabric, you can wash it less often than cotton. Unless you’d like to spend your travels at the laundromat waiting for clothing to dry, we’ll call this a benefit. There are a lot of great arguments over whether Merino wool or synthetic materials are better suited for base layers. One could argue that synthetic fabrics dry faster, which would definitely help if you’re an overly sweaty person. It’s also cheaper than wool and easier to care for, but we don’t think those minor benefits outweigh the massive pros of Merino wool. It is a natural fiber—AKA, when you’re done with it, it will decompose in a landfill pretty quickly. After you toss your synthetics, they’ll sit in that dump for 30-40 years before decomposing. Merino will also keep you warmer than synthetics, it’s usually softer to the touch, and it retains less odor allowing you to wear each piece of clothing more between washes. In the end, it really comes down to your personal preference though (we won’t judge). This magic fabric covers all your basics, from t-shirts to socks and everything in between. You’d be surprised at all of the common products made of Merino wool—we certainly were. Also, the brands you choose to go with do make a difference, as many companies use different grades & weaves of the fabric. The best Merino wool clothing can last for years while the lowest quality will only last a matter of months. 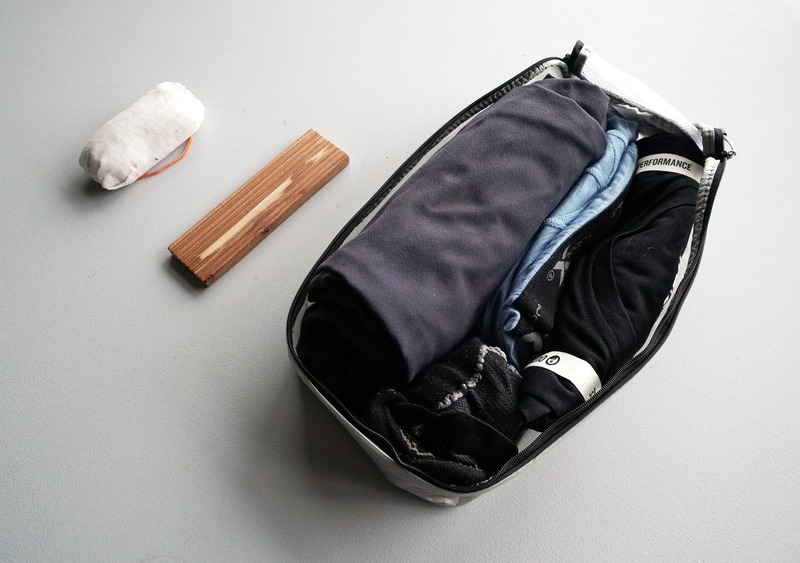 Packing Merino wool t-shirts can save space in your bag and save you a lot of laundry time. Plus, they’re so soft you’ll want to wear them all the time. We recommend having at least two of these shirts, but probably no more than four for longer-term travel. 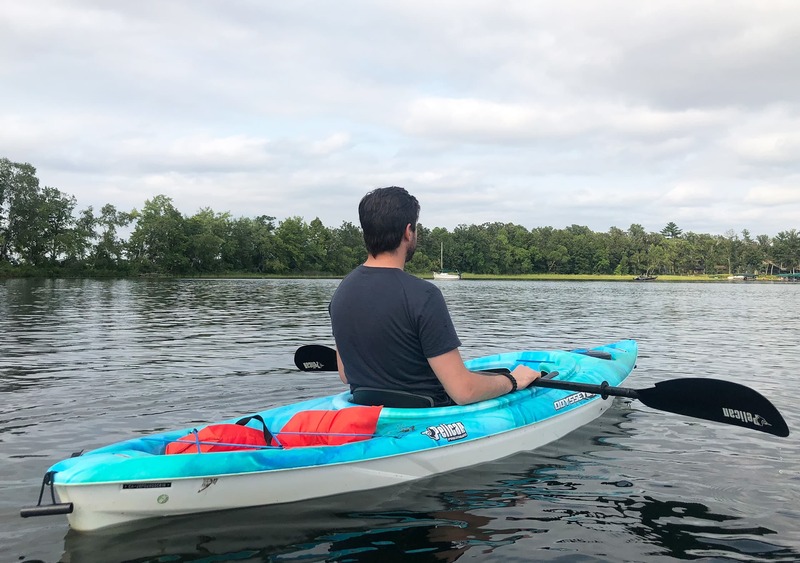 If you have two, it will give you the option to leave one hanging out to dry at your hotel, hostel, or AirBnB while you’re out exploring and wearing the other one. It is also worth considering getting darker colored tees so you can wash them less. The dark colors won’t pick up dirt or sweat stains as easily. When purchasing, take a look at the fabric thickness, usually indicated by “gsm” or “g/m²” (Grams Per Square Meter). 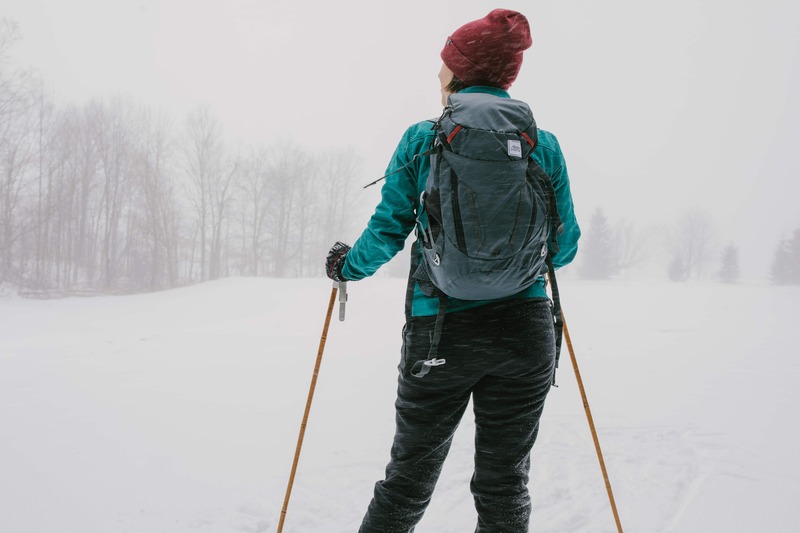 Most companies will have a lighter weight version that’s optimal for warmer climates but if you want more durability or you’re in a colder climate, thicker is better. 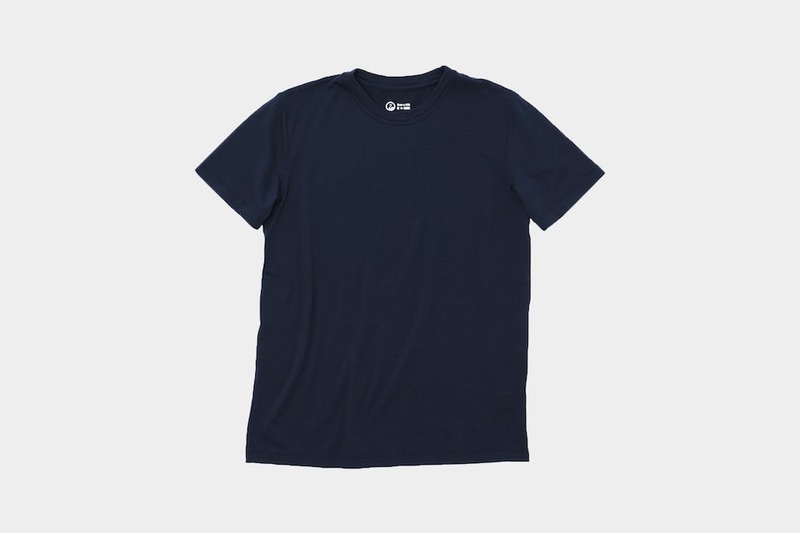 Most tees are rated between 150gsm and 190gsm. Remember, Merino wool will regulate your body temperature in both hot and cold situations. PRO TIP: If one of your shirts starts pilling on the road, you can machine wash cold with some denim – that will act sort of like sandpaper and help get rid of some of the pilling. Just don’t overdo the machine washing and definitely don’t use a heated dryer! 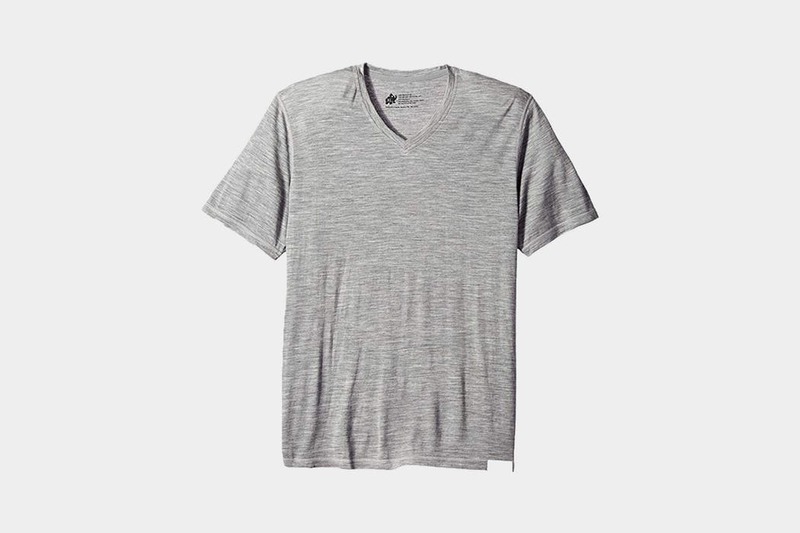 We’ve tested this tee with over 200 wears during a year and a half of use and still love it. The fit is very modern and it always looks sharp. Its magical properties keep you warm in the cold and cool in the heat, though the price tag is a bit hefty. The durability isn’t quite as high with Woolly products, but the price tag is easier to digest if you’re new to this fabric. The material feels a tad thicker than our other two picks, however, it’s a solid shirt with some good durability. What’s a buff? It’s headwear that you need to have! You can wear a buff many different ways, from a hat, a scarf, a headband, a face mask—basically, it can be whatever you need it to be. It’s lightweight and the Merino fibers provide a good warmth to weight ratio. Carrying one Merino wool buff is way more practical than packing a bulky knit scarf that will eventually smell and falls on the floor every time you hang it on the back of your dinner chair. 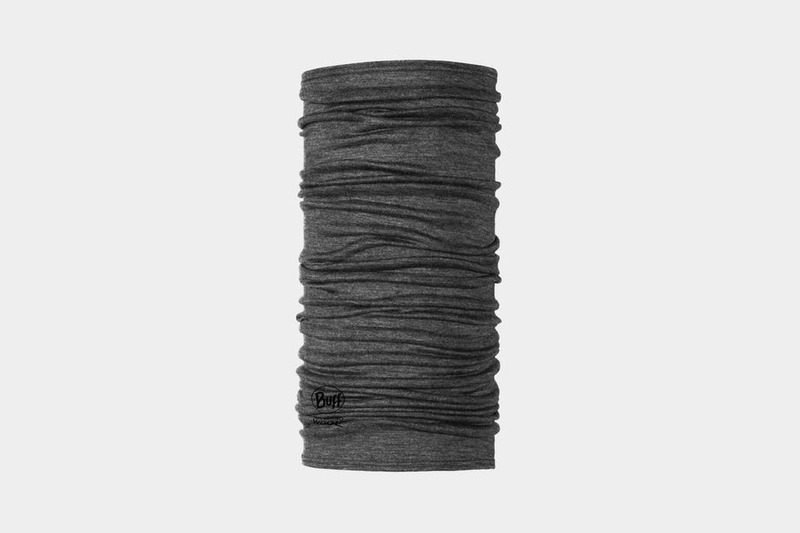 The quick-drying properties come in especially handy with a buff, ensuring that your face and head stay dry and warm. With one tube-shaped piece of Merino wool the possibilities are endless! This buff is great for travel packing because of its versatility, it’s quick drying properties, and it doesn’t retain odors. It also blocks 95% of UV rays. Bonus points for this brand because the buff is seamless which eliminates those irritating hems and seams that typically rub against your skin. When you see wool underwear, you probably automatically think, “No way in hell would I intentionally put something itchy down there.” We’re here to tell you that Merino wool underwear is not the least bit itchy. It’s actually super comfortable & soft. The wool is naturally antimicrobial and anti-stink, which means you can wear them multiple times before washing—that is if you can mentally handle the idea of re-wearing your underwear, and not just because you turned it inside out. The quick drying nature will keep you from feeling everyone’s least favorite word, moist. *Shudder* We recommend bringing 2-4 pairs with you: two if you’re feeling adventurous. Four is more the norm if you don’t want to do laundry often, plus since underwear is small it’s easy to pack more. The Dailys Boxer Brief are super soft. Like really, really soft. They are form fitting and don’t bunch up, which is obviously awesome. The only problem is they get shredded up after 9 months. We got a solid 75 wears out of them, but we’re still searching for the perfect pair! Everyone has been in a situation where your feet are super sweaty throughout the day and when you finally take your shoes off your socks are soaked and smelly. Not the case with Merino wool socks because they will regulate your foot temperature with Merino’s natural moisture control. But wait, there’s more! Like all other products in this category, they are antimicrobial and anti-stink so you can wear them a couple times between washes if needed. Merino wool socks can be durable AF, depending on the brand. It’s important to look for a blend of wool and lycra, spandex, or nylon. If there is too much wool, they won’t be durable or form fitting to your feet. 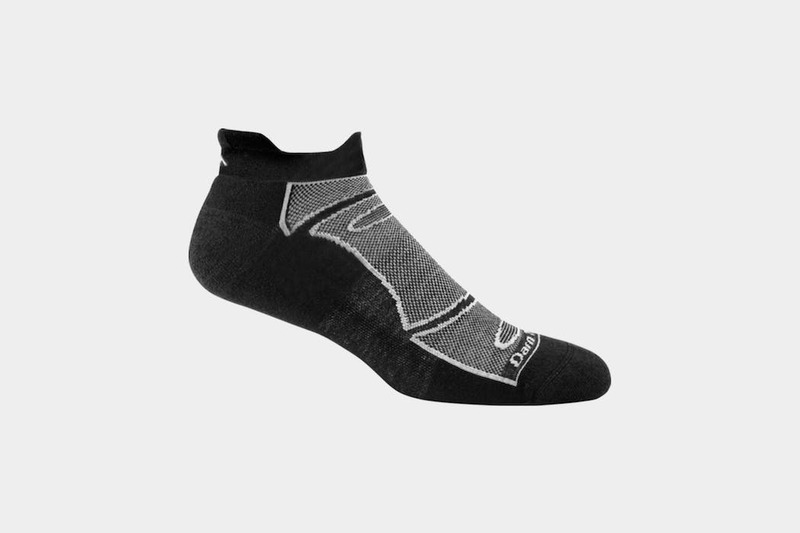 A little thicker than other socks, they’re still a good fit on the foot and inside your shoe. Darn Tough offers an amazing warranty as well—yes, a warranty on socks! If these socks aren’t the most comfortable, durable and best fitting socks you’ve owned you can return them with no questions. Though, we assure you they are extremely durable and definitely worth the purchase. It’s good to look presentable every now and then while traveling, right? Whether you’re trying to look decent for the customs agent, headed to a nice dinner, or wanting to look sharp on the road while interviewing for a remote gig—a button down can give you a bit more of a polished look than a simple t-shirt. Whoever you’re trying to impress doesn’t need to know you’ve hardly ever washed it either. Wool & Prince offers a pretty great selection of Merino wool button-downs. They’re slightly itchy and take a bit to break in at first, but once everything is locked in, their button-downs are a great companion to have on the road. Whether its a tank top, t-shirt or runners, this magical fabric is actually perfect for working out because it’s quick drying, sweat-wicking, anti-odor and it regulates your temperature. Plus, you can usually get away with wearing your Merino “gym clothes” as “regular clothes,” unlike a lot of the sporty-looking synthetic garments out there. If you’re in a pinch, you can air dry your gear before putting them back in your bag, which will help prevent the onset of smells even longer. While you can go a few wears between washes with this workout gear, like any other material, the more you sweat the faster the clothes will smell regardless of the antimicrobial properties. The thin fabric of the Icebreaker Merino Anatomica Tank is ideal for compression in your bag. Be sure to air dry it if you’re in a hurry after a workout to help get any smells out. It’s easy to wash in the sink and it’s quick drying. 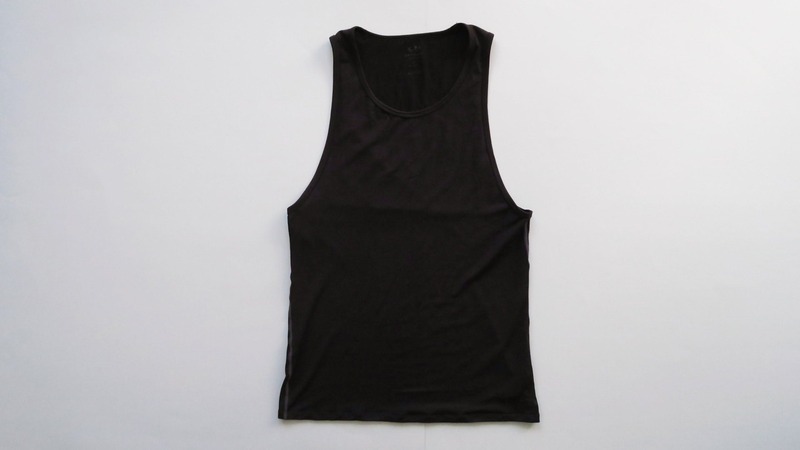 To add some durability, the tank is a blend of 83% Merino wool, 12% nylon and 5% lycra. The price tag is decently high, but worth it if you’re cramming everything into a small bag. One of the only cons of this tank is that the tag washes out after some time, making it hard to tell which way to put it on. There are a decent amount of Merino wool products out there, but it seems the market is mostly geared towards menswear at the moment. Don’t get us wrong, there are definitely garments for women, but the pickings are a little slim. In our research, we’ve found that most Merino womenswear is designed as tight fitting workout clothing or frumpy cardigans. Just because you’re traveling doesn’t mean you should forgo your personal style, and we just haven’t found anything we love in that department yet. However, there are certainly no rules stopping women from buying the men’s products and reaping those benefits too. We’ll be sure to update this guide as we learn about new products. UPDATE: Around the time of the initial publishing of this guide, Woolly has launched an entire women-focused line! We haven’t had a chance to test or review any of their women’s merino wool clothing yet though. Caring for wool may seem daunting, but we promise it's not. Disclaimer: This guide will work for most Merino wool garments, but be sure to check with your individual brand’s care instructions first and foremost. So now you know why this magical fabric is worth the extra bucks. But do you know how to make it last? The first thing you should know is that because of its antimicrobial properties, you can actually wash Merino wool LESS than all your other clothes. Think about it, what’s the number one reason you do laundry? So your sh*t don’t stink right? But how often is “not often?” You have to use your personal judgement and what you feel comfortable with based on how much you sweat and how much you enjoy doing laundry when you’re traveling the world. Generally, we suggest washing Merino wool t-shirts every 10-20 wears and, no judgement, underwear every 5-10 wears. Other people say we could go even longer! If that grosses you out, we won’t be offended, so feel free to wash more frequently, but know that the lifecycle of the product just might be cut short the more you submerge it in soap. Pro tip: let your clothes aerate after each wear so any moisture can evaporate to help prevent smell between wears. Every brand and individual product will have its own care instructions, but we’ve done the research on some of the best practices to use based on your label. But who knows how to actually read those labels? Sometimes it looks like a picture book of how to cook ramen noodles without a stove. 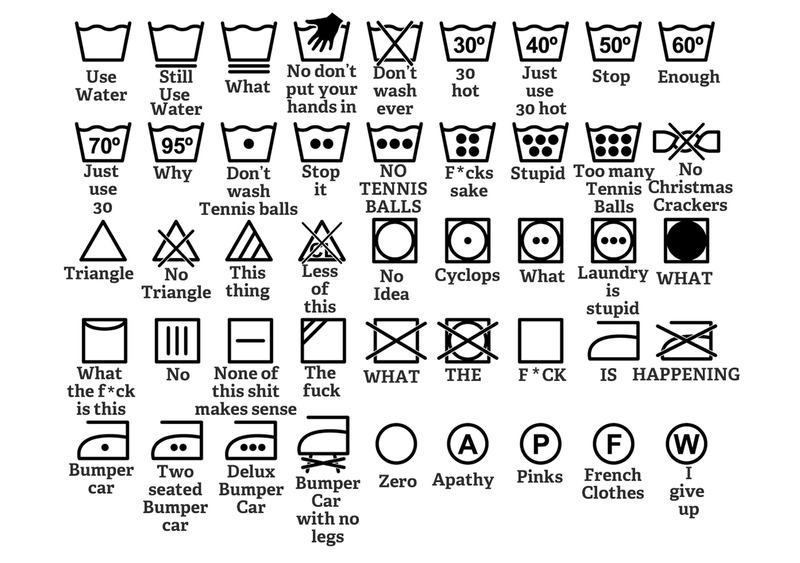 In all seriousness, those symbols are important. Mess up the instructions and your shirt might be fit for your niece’s doll or your dog. There goes that $100 investment. Take our advice and try to learn the true meaning of some of the laundry symbols, which will help your wool products—and all your garments—live their best life. 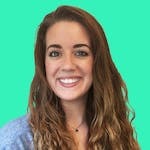 When you’re traveling, battling a language barrier at the laundromat while trying to explain how you want your washing done can be unnecessarily stressful and potentially costly if you’re not familiar with the native language. Following these simple steps will usually do the trick for your handwashables and even those labeled machine wash. Turn your garments inside out—this will help retain that “new look” for as long as possible. Soak and swish in the sink for a minute with tepid water and a neutral soap. A neutral soap is anything with a pH balance of 7, which is the same pH as water. Fabric softeners and bleach are always a no no! The softeners coat the fibers and reduce its ability to naturally regulate temperature and moisture. See our soap suggestions below. Let the garments soak for 15 minutes. Afterwords, you can run the item under some water for a quick rinse, but it’s not entirely necessary due to the crimping of the fabric fibers (the soap doesn’t penetrate all the way through). Lay pieces flat to dry. Hanging will cause your clothes to stretch in weird areas from the weight of the water. You should also store the garments folded up to help maintain the shape. Pro tip: Roll your garment in a towel and gently press to remove excess water before drying. Then lay it flat on a fresh towel (if you have one to spare) and place in the sunshine for the fastest drying time. Carrying soap with you can take up valuable real estate in your backpack or luggage. There are a variety of products from shampoo bars to wool specific cleaners that you can use at home or on the go. These products are awesome because you can bring only one thing and use it for your hair, body, clothes and even the dishes if you’re in a pinch. When traveling, liquids and space are a premium, so we prefer this option when on the road. 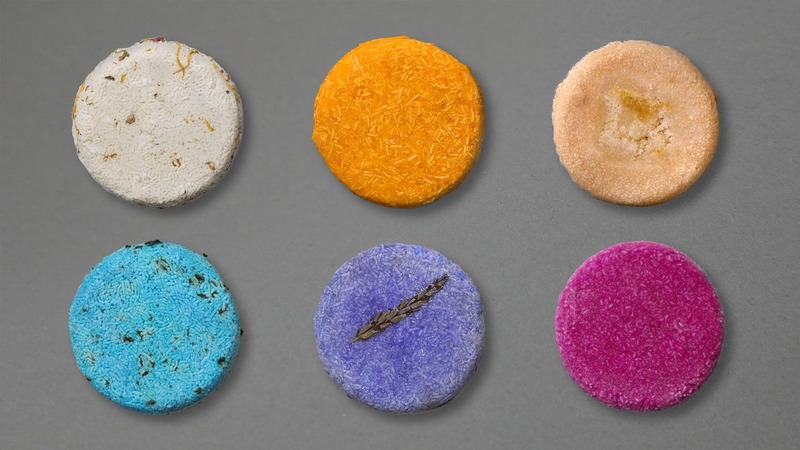 Lush shampoo bar: it’s natural ingredients make it safe to use on wool. View our full review. Dr. Bronner’s liquid castile soap: also plant-based, so it’s 100% laundry friendly and doubles as shampoo & soap on the road. Dedicated products to prolonging the life of your wool, these might be better left at home if you’re sticking with one bag travel or trying to conserve weight. If you really love keeping your clothing at their freshest, there’s no reason you couldn’t take some in a 3oz GoToob or small liquid container. Merino Wool Wash from Granger’s and Kookaburra Wash are specifically made for merino wool care. 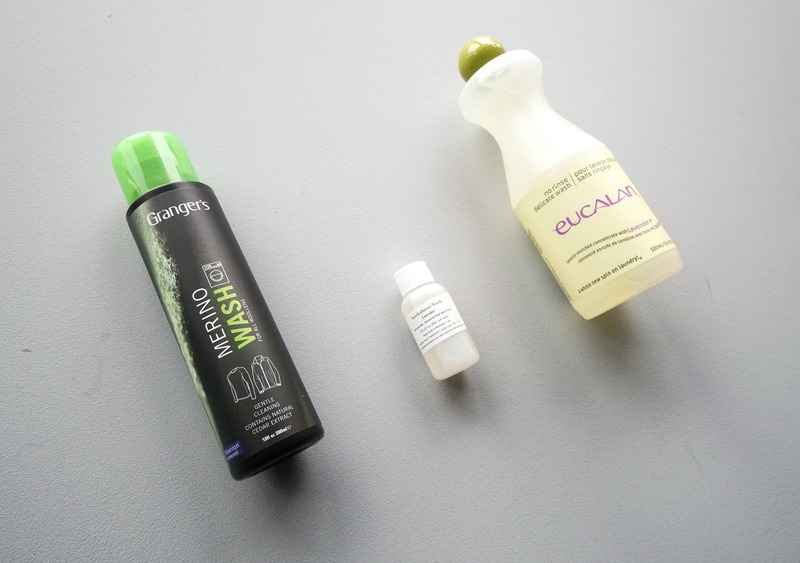 Eucalan fine fabrics wash comes in eucalyptus, grapefruit, jasmine, lavender and natural scents. Don’t have any soap with you? No problem. Any soap with a more neutral pH level will be great on the fabric. Dish soap, for instance, has a pH level around 7 (which is around the same as drinking water). Bleach is somewhere between 11–13 in pH level, so avoid at all costs! Prefer a powdered detergent? These are fine to use, but it’s best to pre-dissolve the detergent prior to adding your clothes. This will help prevent concentrated specks of detergent from coming into contact with the wool, potentially causing holes and harm. Pro tip: Got a stain? Use a solvent-based removal, like eucalyptus oil. Apply it in small amounts, working inwards on the stain to keep it from spreading. Place cedar chips or lavender oil in your bags. This will keep the critters away plus keep your entire pack or luggage smelling fresh. Think you’ve already been invaded? Place your garments in a plastic bag and in the freezer for 24-48 hours. This will kill any moths or larvae living in the fabric. In our testing, we’ve found that ordinary deodorants seem to perform just fine with Merino Wool. The main issue comes when you start using a deodorant with antiperspirant in it. Antiperspirant can really make a mess of Merino, and sort of goes against the main benefit of it—wearing many times between washes! Just avoid the antiperspirant and you should be good to go. That's about all you need to know about this magical fabric. The next step is trying it yourself if you haven't yet! If we haven’t convinced you by now that Merino wool is one of the best travel fabrics out there, then there isn’t much left to say other than to go test it for yourself. While the price point is on the high side for these products, the benefits that the material has to offer seriously make the purchase a worthwhile investment. From t-shirts and sweaters to underwear and socks, Merino wool is soft, naturally breathable and super comfortable. No itching or scratching with this wool! It’s one of the only fabrics that is naturally antimicrobial, resists odors, wicks moisture AND keeps you warm in the cold and cool in the heat. With careful care of your Merino wool—and selecting the right brands—your products should survive hundreds of wears, retain their shape, and save you time on laundry no matter where you’re adventuring. New products are constantly being introduced to the market and we’ve only shared a few of our favorites with you that have stood the test of time in our bags. We will continue to explore and update you as products change and improve. The bottom line of whether or not it’s worth the extra dough is completely up to you. But if you’re a serious minimalist traveler that dislikes frequent trips to the laundromat—Merino will help you travel lighter & faster.